First of all I'd like to wish all of you late Happy Easter wishes!! Hope you all enjoy this time with your family! 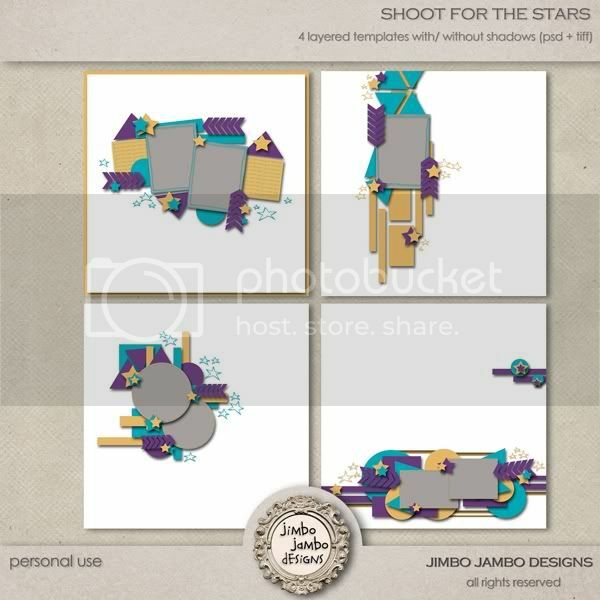 I have just returned from my holidays with my family in Poland and I have realized I haven't posted here my lates templates Shoot for the stars. A different set which is so easy to use and really funky! all my 4 templates packs are available just for 4$ in my DSB shop! new pack for BBP at DSB & giveaway!